"So, the king forced Eaden to wed," Riona murmured. Her gaze caught Ranald's. "What will he do to me?" "Ye are a laird's daughter," he reminded her. "And an heiress. Yer mother's dower lands north of here are of great value to the king." "And I am of little worth, aye?" Riona flared. "Nae. Ye are of great worth." "But a pawn to the king." Ranald sighed. This was not going as he planned. "We are all pawns in one way or another, Ree. The king willnae let ye stay on yer own. Ye are a ward of the crown, now." 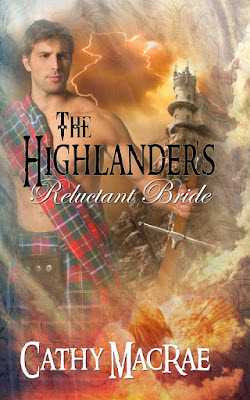 "So, he'll marry me off to some rebellious laird he wants to drag over to his side, using me and my lands to hold him?" "Nae. No' so bad as all that." "Then, to a wealthy laird who's all but doddering in his cups, hoping I'll no' breed an heir before he dies, giving title to the land to the king and my next husband?" "Marriage, yes. Doddering auld man, no." Riona snapped her head to one side, a glower on her face. "Then, who?"